Two former Penn State fraternity members on Monday received sentences that include house arrest for their roles in the events that led to the 2017 hazing death of pledge Timothy Piazza. Jonah D. Neuman and Nicholas J. Kubera had both previously pleaded guilty to three counts of hazing and one count of conspiracy to commit hazing, all third-degree misdemeanors. Neuman, 21, of Nashville, Tenn., and Kubera, 21, of Houston, Texas, were both sentenced to nine-month intermediate punishment programs that include 60 days of house arrest followed by seven months of daily supervision. Neuman also will serve two years of probation and was ordered to pay $1,750 in fines. Kubera, who will be credited 30 days for time in an inpatient alcohol treatment program, received 18 months of probation, 100 hours of community service and $1,500 in fines. As with other sentencings in the case, Neuman and Kubera were ordered to have no contact with the Piazza family and are prohibited from posting on the internet about the case. Neither defendant pleaded guilty to charges of providing alcohol directly to Piazza, the 19-year-old sophomore whose death following bid acceptance night at the now-banned fraternity chapter prompted the investigation led to charges against more than two dozen former Beta Theta Pi members. A total of 17 defendants have pleaded guilty and six others were accepted into Accelerated Rehabilitative Disposition (ARD) programs for first-time offenders. Investigators have said that on the night of Feb. 2, 2017 Piazza was given 18 drinks in 82 minutes during the initiation event and basement party that followed before he fell head-first down the basement stairs. Piazza sustained a series of other falls throughout the night and paramedics were not called until the following morning, nearly 12 hours after his fall down the stairs. He died on Feb. 4, 2017 as a result of brain injuries, head trauma and massive internal bleeding from a shattered spleen, according to a medical examiner. Piazza's parents, Jim and Evelyn, were once again in the courtroom Monday at the Centre County Courthouse Annex to read victim impact statements before the sentencings. Jim Piazza advocated for jail time for both Neuman and Kubera and questioned whether any defendants in the case had remorse. He also said Neuman should have gotten help for Tim Piazza and did not. "I cannot help but think if not for him Tim would be alive today," Jim Piazza said. "Tim likely would have been graduating with an engineering degree in May. Mr. Neuman took that away." Neuman pleaded guilty to charges for providing beer to three other pledges during the "gauntlet," a series of drinking stations in which pledges were encouraged to rapidly consume alcohol. He was one of four brothers who carried an unconscious Piazza to the fraternity's first floor after he fell down the basement stairs. Neuman was also seen on surveillance video placing a full backpack on Piazza to keep him from rolling over onto his stomach and sitting on the couch with Piazza for about two hours. Former fraternity brother Kordel Davis, who is not charged in the case, told police that when he saw Piazza on a couch later that night he advocated for calling for help but that Neuman told him "they had it under control." Video showed Neuman then pushing Davis away. The following morning, Neuman was one of the fraternity members who again carried Piazza up from the basement after he was discovered unconscious behind a bar. About 10 minutes later another fraternity brother called 911. "He is in a very unique position in that he was here for all of these events," Deputy Attorney General Megan Madaffari said. "He saw the severe condition Mr. Piazza was in and did nothing to help." Neuman's attorney, Robert Daniels, said his client, who was also 19 at the time, believed Piazza was very drunk, not suffering from a head injury, and that he believed he was helping Piazza. He added that Neuman pushed Davis only after Davis had lunged at another brother and said later video showed Davis returning to the room and seeming to have a good time. Still, Daniels said, Neuman "understands the role he had" and the "gravity of these offenses." Neuman accepted responsibility, he said, but took issue with the "narrative" that he deliberately prevented Piazza from getting help. "Knowing what we know now in hindsight, he would have acted differently," Daniels said. "He holds himself accountable... There is not a day goes by that he does not think about this. It haunts him." Kubera, meanwhile, was portrayed by prosecutors as having an active role in the gauntlet, handing out beers for pledges to shotgun. Chief Deputy Attorney General Brian Zarallo said that Kubera was yelling at pledges to move quickly through the stations and was "more aggressive and intimidating than any other brothers involved in the gauntlet." In a statement to the court, Kubera expressed sorrow and regret. He said that in the past two years he has dealt with depression and anxiety and has sought treatment for excessive alcohol use, which his attorney, Andrew Shubin, said Kubera turned to after Piazza's death. "I sincerely regret my involvement and am trying to become a better person," Kubera said. In their statements, Jim and Evelyn Piazza said that at an earlier court proceeding Kubera had his head on a table and appeared to be sleeping. Kubera apologized for his conduct. Evelyn Piazza also said Kubera had just gone through the initiation in the fall of 2016 and was aware of the danger. "They chose cruelty over being a true brother," she said of both defendants. Shubin said his client went to State College police two weeks after Piazza's death to tell a detective everything he knew about that night. Kubera, who said he was not aware of Piazza's condition until the morning after his fall down the stairs, spoke to investigators against Shubin's recommendation at the time and without a promise of leniency, Shubin said. "He has not sought to minimize his role in this," Shubin said. "He expressed remorse and he expressed it immediately. He accepted responsibility." Kubera's mother, Leslie, also read a statement to the Piazzas in which she discussed the death of one of her own sons and said that she regretted following the advice of the fraternity not to contact the Piazza family or attend Tim's funeral. She added that her son and her family were sorry for his involvement on the bid acceptance night. "I believe Nick would have helped Tim if he knew he had fallen and was injured," she said. Leslie Kubera also said she wishes for "all families involved in this to come together," to share Tim Piazza's story and be advocates against excessive drinking and hazing. Several more former fraternity members still face sentencing after entering guilty pleas in the case. Only three defendants in the case are still on track for trial. 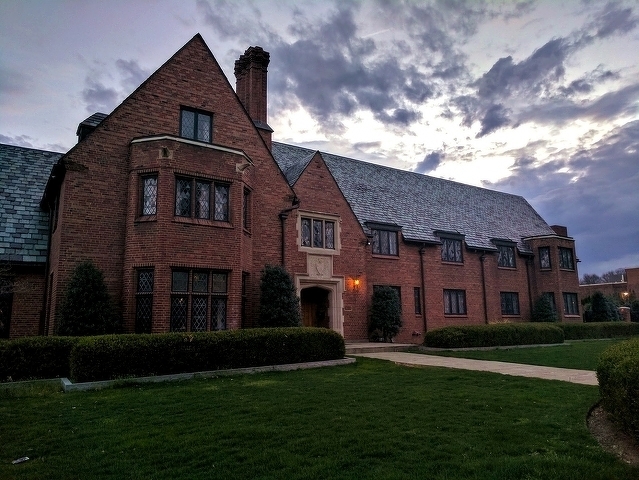 Former chapter president Brendan Young and pledgemaster Daniel Casey still face trial on charges of recklessly endangering another person, hazing and furnishing, but their case has been put on hold pending an appeal to state Superior Court. Braxton Becker, who is accused of deleting basement surveillance video footage that was later recovered by an FBI expert, also faces trial at the end of May on tampering and obstruction charges. 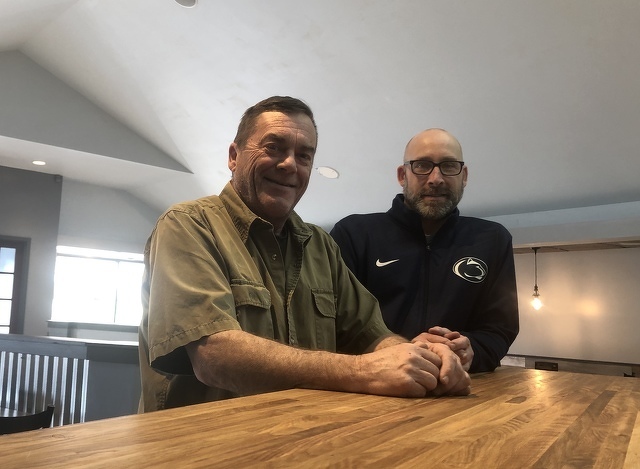 BELLEFONTE — After serving up made-from-scratch food in Pleasant Gap at the Red Horse Tavern since taking over the location in 2012, partners Justin Leiter and Courtney Confer are ready to handle a second location, this time at 205 Park Place Bellefonte.